As an educator, making calls to parents is tricky for a number of reasons. Lack of time, difficult documentation processes, and unpleasant subject matter all contribute to why you might feel anxious about completing the task. Once you get past the hurdles of scheduling or proper documentation, you are left with the actual job of speaking to another human with whom you may have very little in common. 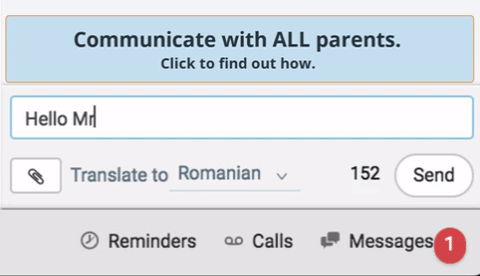 HOW to speak with parents while on the phone or through text and figuring out what the parents are really concerned about is no small feat, especially when you consider the implications of parental engagement. Luckily, with a just little prep you'll be ready to make a call with confidence! 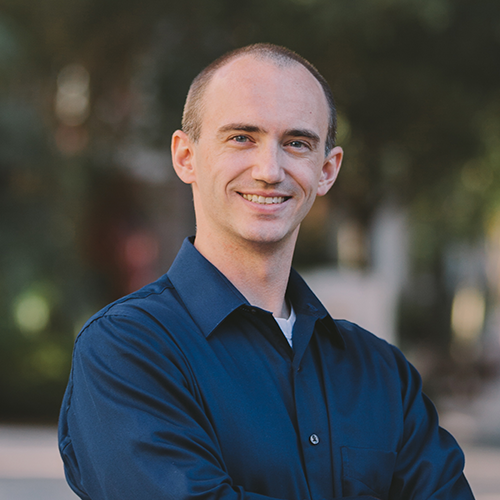 In my previous life, I worked as a Client Services Representative taking inbound phone calls and making outbound phone calls to current clients. Yes, I was a phone jockey patiently helping people solve their problems one question at a time. After a few years, though, there was a shift in the culture at the company where I worked. No longer was speaking with people enough… all of I sudden I was being asked to “find the need behind the need” and to “identify with the client at their level” and “figure out their ‘pain point’.” This scared the living daylights out of me! I wasn’t a very good communicator and had trouble figuring out on the phone what people wanted beyond what they stated. I panicked. However, all was not lost! As a part of this shift I was able to attend some of the most valuable training I have ever received in communication. This was called Service Key and is an adaptation of Sales Key (Administrators, you can find the full service at this link here if you want a consultation). I don’t pretend to be an expert on all kinds of communication; but I will share with you what I found the most useful piece of the entire program, and that is identifying the type of person that you are speaking with on the phone by deciding on a persona. There are generally four different personas or behavior styles when speaking with another person on the phone. Those are The Commander, The Performer, The Analyzer, and the Empathizer. Each of these personas has different needs and communication styles and should be treated differently when interacting with them on the phone. The easiest way to visualize this is by using a quadrant. As you can see by the handy-dandy table below, the first way to visualize the four personas is by dividing them into hemispheres; from top and bottom and from left to right. 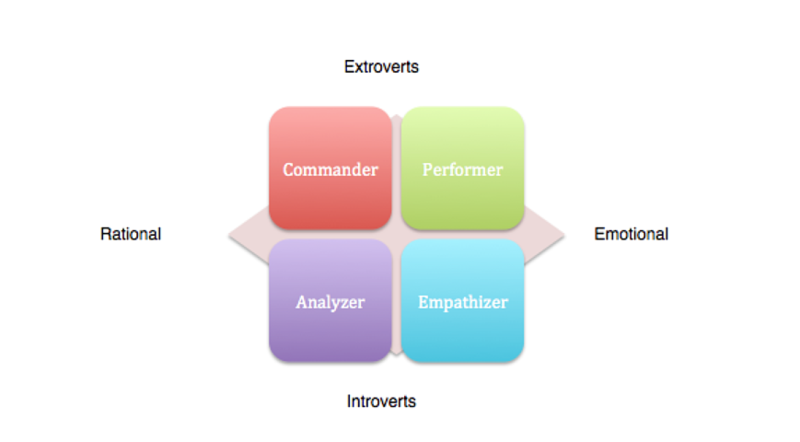 Going from top to bottom, Commanders and Performers tend to be more extroverted and outgoing while Analyzers and Empathizers tend to be more introverted and reserved. Going from left to right, Commanders and Analyzers tend to appreciate more rational and factual communication whereas Performers and Empathizers tend to appreciate more emotional communication and appeals to feelings. If nothing else, identifying the person you are speaking with by hemisphere is half the battle! That isn't all, however. Each behavior/persona has cues on how to identify them in a conversation as well as good ways to communicate with them in their language. Let’s take a brief look! Use phrases like: I will do this right away… I understand where you are coming from… Have you considered?... What do you think about…? Use phrases like: That is so interesting…? How do you feel about…? What else has…? Uses phrases like: I think… I know… What does… mean? Be precise. If you don’t know something, tell them that you will find out. Uses phrases like: I feel… What do you feel about…? Use phrases like: How do you feel…? How can we do… together? Most people exhibit at least two of the above personas and have a major and minor persona (for example, I’m a Commander/Performer). Additionally, every person exhibits every persona depending on the situation. When you are making a call to a parent you've never before spoken to, just knowing what each of the personas are is a good starting point for effective communication. Good luck in all your communication endeavors, and may you never be too awkward to talk on the phone again! 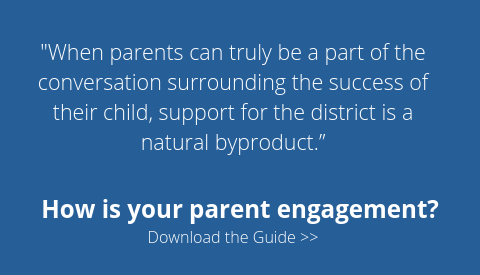 Looking for some practical help managing your school's parent communication?